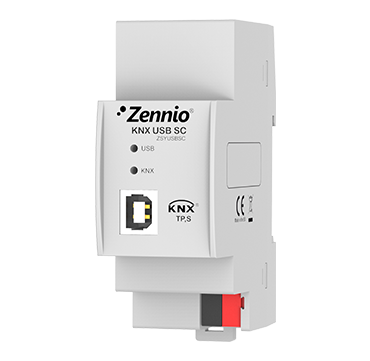 KNX installations programmer via USB. KNX and USB Status LED. ETS detects the KNX-USB Interface after connecting to the computer. It allows monitoring the KNX bus with ETS.